We're hitting you guys with a double whammy of inspiration today! This trend is everywhere, and we couldn't decide whether we should limit it to just where we've seen it in weddings, or where we've seen it in fashion. So we did both! 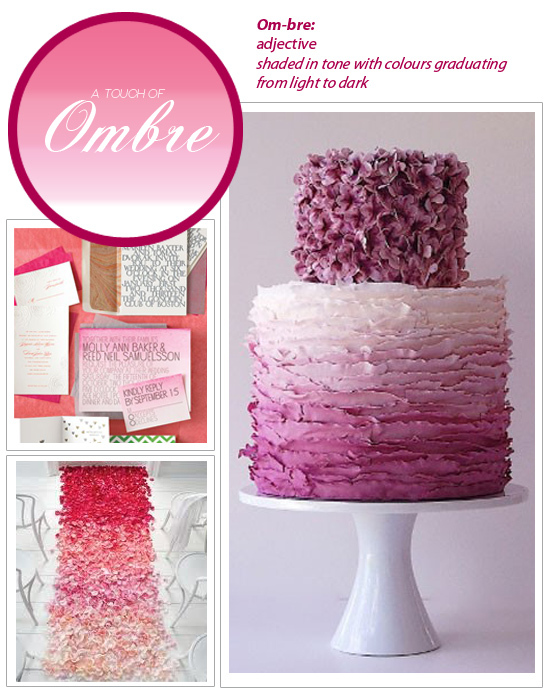 Strangely (or not, depending on your preference of colour), in weddings, ombre seems to dominate in pinks and magenta's. We think its so pretty! Don't limit yourself to just pink though - this trend works great with any palette - that's what makes it so great. 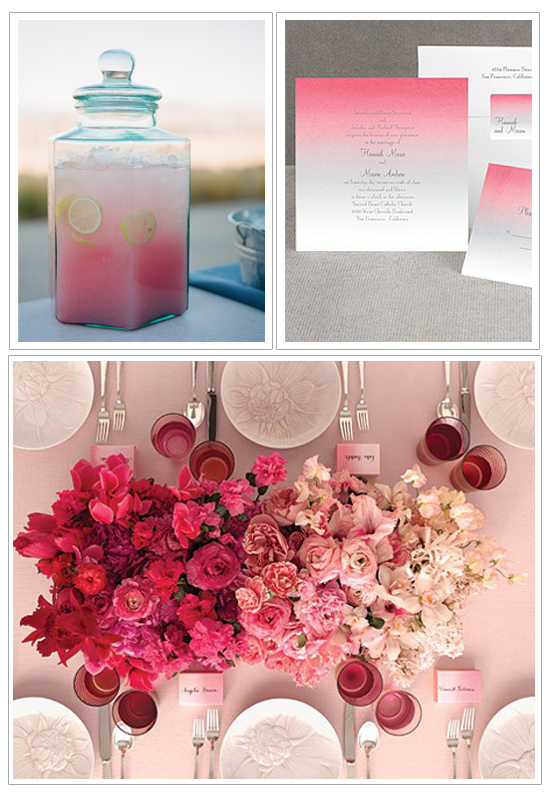 We love how this trends works everywhere - from invites, to table decor, to cakes and even drinks! You can also get your bridesmaids to wear a different shade of the same colour to emulate this trend. 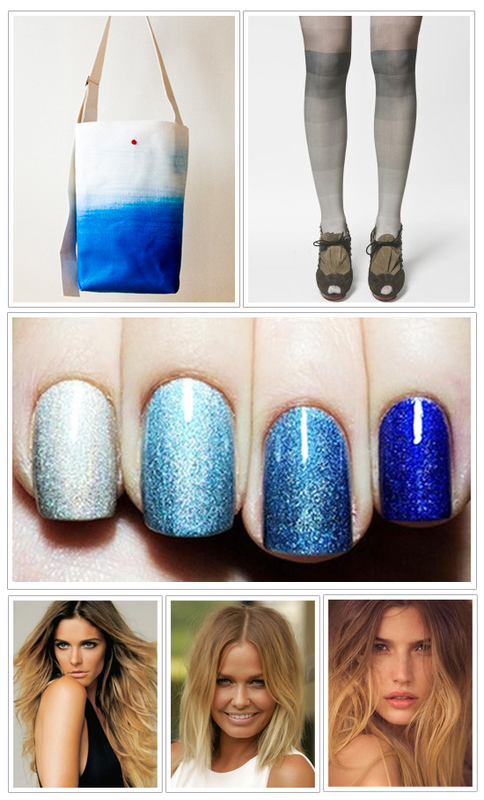 In fashion, this trend seems to have adopted darker and bolder colours, with a less gradual fade of colours. We love the double ombre effect of the first dress by Versace and this blue and white dress is striking. The ombre trend doesn't stop at clothing - we've seen it across a range of accessories, including handbags, tights and jewellery. The boldest way to adopt this trend? Through your hair of course! This look has been huge with celebrities and is a sure way to make sure you're bang on trend. Already have coloured hair? Perfect, just let it grow out naturally to achieve this look dead on. And yes, we did just say that!